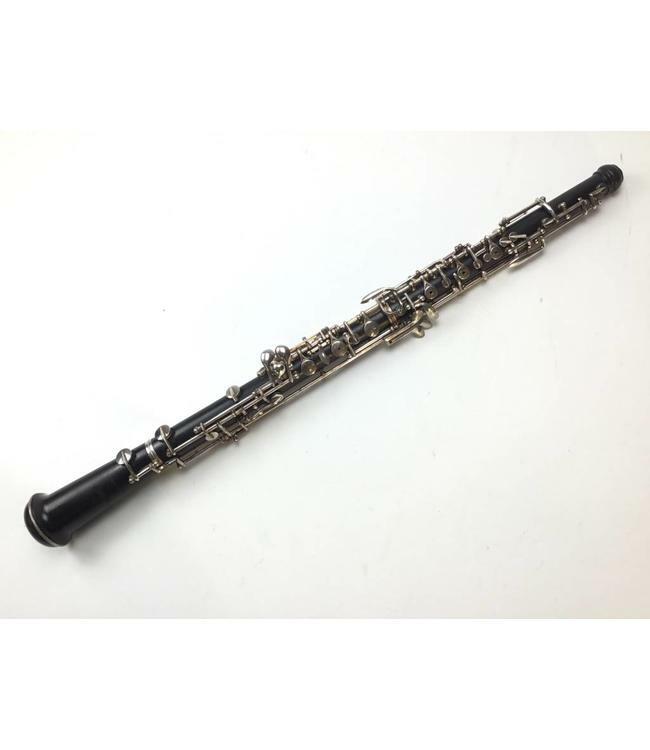 Used Selmer 122F Oboe. Grenadilla wood body with silver plated keys. Pads will need to be replaced soon. Keys show significant tarnish. Plays to low Bb. Semi automatic octave system. Comes with original case.